Debbie joined LOORG covering maternity leave and was a key point of contact for enquiries to the group and closely assisted Professor Sarah Coupland (research group lead) on a daily basis together with providing a high level of administrative support to all members of LOORG. 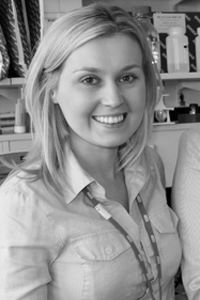 Laura was a key point of contact for enquiries to the group and closely assisted Professor Sarah Coupland on a daily basis together with providing a high level of administrative support to all members of LOORG. Dawn's main role was to provide a high level of administrative support to all members of LOORG and maintain the LOORG website. During her time with LOORG, Dawn established herself as the key point of contact for enquiries to the group and closely assisted Prof Sarah Coupland (research group lead) on a daily basis. Transpalpebral proton beam radiotherapy of choroidal melanoma. Konstantinidis L, Roberts D, Errington RD, Kacperek A, Heimann H, Damato B.
Br J Ophthalmol. 2015 Feb;99(2):232-5. doi: 10.1136/bjophthalmol-2014-305313. Epub 2014 Aug 19. Whole anterior segment proton beam radiotherapy for diffuse iris melanoma. Konstantinidis L, Roberts D, Errington RD, Kacperek A, Damato B.
Br J Ophthalmol. 2013 Apr;97(4):471-4. doi: 10.1136/bjophthalmol-2012-302659. Epub 2013 Jan 7. 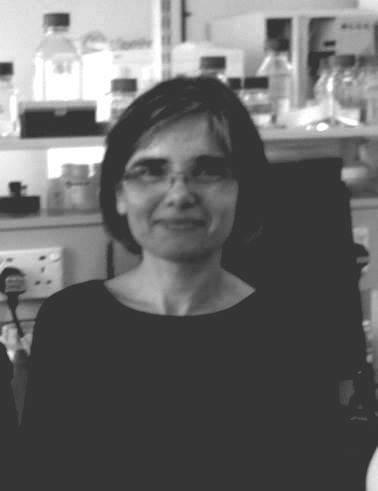 Dr Marcela Baudo first joined LOORG in 2010 as Molecular Pathology Technician. Her responsibilities involved the day to day running of the MLPA and MSA prognostic service, providing technical support to the Ocular Oncology Research team, and participation in uveal melanoma research projects. During her time with the group (2010-2013), Marcela was particularly interested in the chromosomal changes in iris melanoma, specifically, the genetic changes associated with metastatic prognosis.